Since 7th grade, I have been participating in the YIS Koto Ensemble, and this is my 5th year being a part of the community. During the years, the ensemble has performed in various concerts in YIS, as well as outside of school. From the amount of dedication and commitment I have put into this ensemble, I have learned the importance of perseverance, and why it is necessary for me in life. I believe that one of the most distinctive features of a musical ensemble that distinguish from other communities is the equal value of every member of the ensemble. Every member of the group is equally as important and significant as all the other members; whether one may be the leader of the group, or one has a solo during the piece, if we take out any of the members out from the ensemble, the piece won’t sound the same. Some piece we performed had only one person in every part, so if one of the members is gone, everything will start to fall apart. Every member has both the chance to participate in the ensemble equally, as well as having the responsibility to be able to memorize and play the piece correctly. If one is not committed as the other, it is very hard for the whole ensemble to create harmony when playing a piece. Throughout my years of performing as a member of the Koto ensemble, I learned that it is important to be engaged in the community not only for yourself but for the other members’ sake as well. By showing high commitment towards the community, it can also help motivate others to become engaged as well. During the long years of being the member of the koto ensemble, I had times where I completely lost my motivation to practice the piece, as I was being pressured with catching up with academics outside the community, and other personal issues. I lost the motivation to come to the practice, and there were times where I completely lost interest in playing koto. Despite the lack of motivation I had, I was able to challenge myself to stay persevere and continue practicing. One of the ways I was able to overcome the lack of motivation was, to think about my community and the reminding myself to fulfill the responsibility I had as a part of the ensemble member. I kept reminding myself that if I neglect in engaging in the community, it will also cause unnecessary trouble to the other members of the group, and could potentially disappoint them. Although some might consider this method to be a negative way of motivating yourself, it definitely did help me as the fact that people were dependant on me and that I was important to the community, helped motivate my self to practice koto again. With hard work and perseverance, we were able to play the piece in one of the concerts in YIS. The accomplishment I felt after performing definitely helped me understand the importance of perseverance, and the benefit it can bring. I hope that starting my 5th year this year, I can continue to be a significant part of the koto ensemble as all the others in the community. 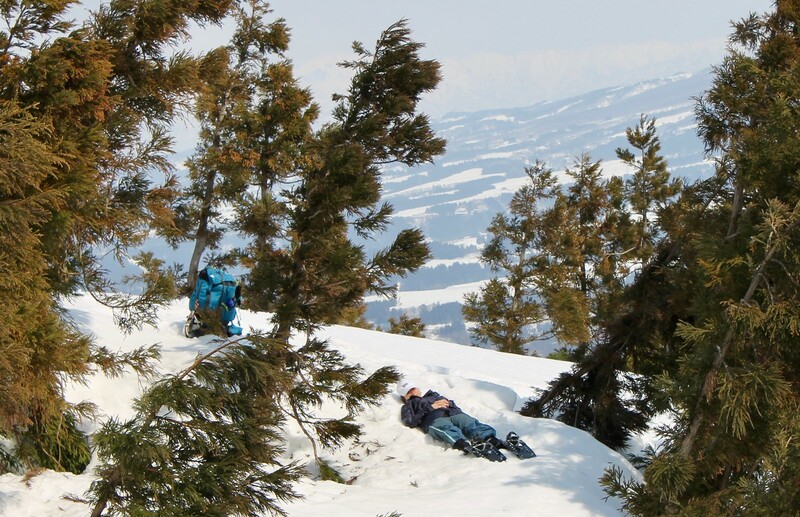 Out of all the Expeditions I have experienced over the past years, one of my most memorable trips was the 10th-grade snow expedition in Niigata. My family was never the type to go outdoor for skiing or hiking during the winter holidays, so it was such a rare experience for me to spend a week in a snowy environment. It definitely helped expand my comfort zone as I challenged myself to indulge and gain experience in the unfamiliar environment, despite the slight anxiety and worry I had since it everything was so new and foreign to me. 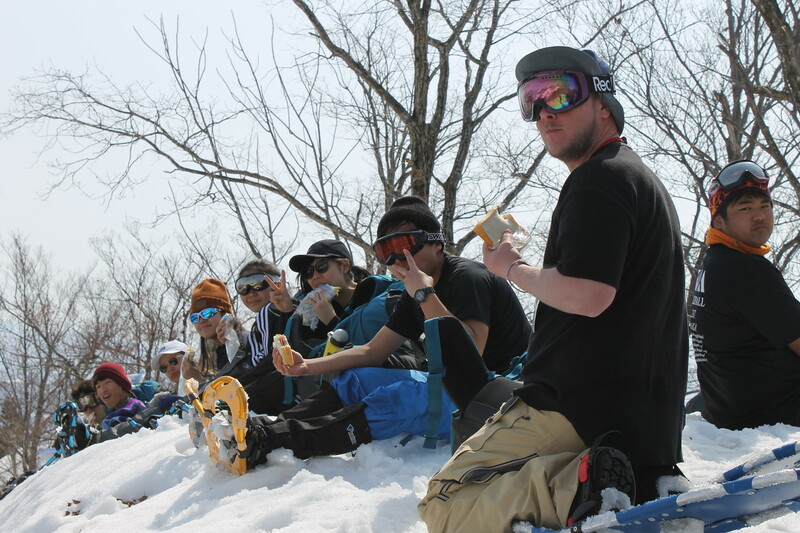 We visited an English camp lodge in Tsunan, Niigata for 5 days and experienced various activities such as the 2-day snowshoe hiking. Contrasting to the restless and busy Yokohama, Niigata was much quieter and peaceful—it almost felt that the place was secluded from the rest of the world. The camp lodge was located deep in the mountains and was isolated from the local town in Tsunan as well. Additionally, we were also required to stay ‘unplugged’ during the expedition, meaning that we had to detach ourselves from the internet and various social media. Although this was not a difficult challenge for me, it did feel uncomfortable as I felt so detached from my social community and friends outside of the trip. However, at the same time, I realized that this uncomfortableness comes from how much my life has been dependent on internet and social media. It made me rethink my balance in life, and how I should be more aware of how dependent I am on the internet. We were completely isolated from our friends, family, and school; it was quite refreshing to just forget about my schoolwork and my social relationships, and immerse myself in nature. Over the 2-day snowshoe hiking, I had the privilege to experience ‘true silence’ during the hike. We had times where we separated ourselves from others to sit alone in the snow and quietly meditate for some time. The snow around us absorbed all the sounds we made, and during the meditation, it was a complete ‘silence’. Now reflecting back on this expedition, the silence and the peace nature offered to me was something that I should have truly appreciated; complete silence is something we cannot experience quite easily in Yokohama, or in any of the urban cities. There will always be loud noises of various vehicles during day and night, and within the school, it is almost quite impossible to seek silence when there is every other student is talking all the time and minding their own business. Although these noises sometimes do help me stigmatize my brain and help stay critical and aware of my surroundings, however, when I am constantly exposed to these noises it can always become very overwhelming. The silence I have experienced in Niigata truly helped me disconnect with the rest of the society and reorganize my mind without being overloaded with information. It brought me to a realization on how great the impact of noise pollution is, and how isolating yourself into these peaceful environments can help reduce the stress. This experience also enlightened me with how ‘silence’ is a very important factor to help reduce stress and become relaxed, and how it can help sustain my wellness in school. Even though I might not be able to experience the same ‘silence’ I was able to experience in Niigata, I learned that detaching myself from everything, and enjoying the isolation for few minutes can really help clear out my mind and reduce the stress I’m experiencing from information overload. As a bilingual student in an international community, I feel it is necessary to put by the best of my language abilities to help communicate with other individuals all across the world. With my ability to fluently speak both Japanese and English, I spent my 9th-grade year actively participating in a group called the ‘Student Ambassadors’. The main purpose of this group was to tour with families and students that are visiting YIS from all across the world. Although many were fluent in English, I have met families from many different cultures and ethnicity. Some families would only be able to speak Japanese, and I had to navigate multiple families around the school using multiple languages simultaneously. It was also our job to make the families feel comfortable, and create a safe environment for them to be able to address any questions they had in mind. In order to do so, we tried to make out tour as interactive as possible by asking them questions as well and trying to get to know them better. The tours have definitely provided me with opportunities to interact and share cultures with other international students from a completely different culture. I was fascinated by all the questions and concerns that the families had, or the connections students have made about Yokohama International School with their previous school. Despite the students coming from a similar international school as YIS with an international baccalaureate program implemented, students show different concerns and fascination about this school and their culture. Whenever I ask about their previous school, they would share a piece of their culture, and I would always feel intrigued by how students similar to my age and even ethnicity, has a completely different story to tell. Student Ambassador is one of the great communities that I can interact with many students from different cultural background and ethnicity. Student ambassador has not only provided me to interact with international students but also with teachers as well. In 2017 April, I was fortunate enough to participate in helping out the IB Conference held in Pacifico Yokohama. During the time at the conference, I interacted with IB teacher all across the world and was also able to learn new perspectives about how teachers believe in similar/different ways of teaching their own students. With some of the participants, I had trouble communicating them as some were not quite fluent in English, or could not speak at all. However they were all very cooperative, and I was able to guide them through the conference using hand-gestures and only using simple English words when explaining things. Many of the teachers were also intrigued by our experiences as a Japanese international student, and we were able to share our cultural experiences with others. The conference was an amazing and open-minded place for everyone to interact and share their cultural beliefs regardless of age or ethnicity. Throughout these experiences, I have learned that language and ethnic barriers can easily be broken, if one is willing to be open, and stay open-minded about others. Photo took at the Yokohama IB Conference Held in April 2017. Synapses- A junction between two nerve cells, which has a small gap that the neurotransmitters diffuse and passes by. Cognitive- A mental process of learning something through experiences. Consolidate- To reinforce something or make something more stronger and solid. Neurons- A cell that caries signals and messages across the body from the brain to the other parts of nervous systems. The memories in our brains are formed once the neurons have a strong communication with one another. Neurons only starts communicating to one another once they receive a several signals from a specific neurotransmitters. When the neurons create a stronger communication with others, the action is called long-term potentiation (LTP). LTP is used to explain how memories are formed due to strong connection between neurons and that they are maintained. This process creates a ‘synaptic contact’. It is a ability us humans have to recall different memories and thought processes. In order to maintain the memories, the LTP has to continue, meaning that the neurons have to continue the strong communication in order to keep the memories alive. We have been focusing on psychology and how humans behave differently than others and the reason why. One of the biggest debate that is still unresolved for over centuries, is how humans behaviour are affected by nature, or nurture. The nature vs nurture debate over human behaviour are still remained as a mystery, and is widely debated in the society. Human’s behavior and actions are affected by what they were born with, such as genetics and emotions you cannot have full control over; the nature side, or is widely affected by nurture, which is what they been taught and influenced by. Human behavior are not black or white; it cannot be defined if its just nature or just nurture, but many scientist have been studying what kind of behavior are generally affected by. Genders, are one of the popular topics in the debate, as if girls and boys were separated due to our environment and nurture, or if they were born differently from the start and have different specific genes. The nurture side of the opinion is that when the kids are still little and has no perspective on the society and gender roles, the adults and the society tend to push gender stereotypes to their children unintentionally. The nurture affects the kids to either behave like a ‘boy’ or as a ‘girl’. One of the study taken by the Cambridge University proves the nurture side of point, as the adults gave gender specific toys to the infants dressed up as the opposite gender, and insisted the kids to play the gender matching toys. However the nature side also has their opinion as well, which is equally evident as the nurture. The Hines study showed that when a infant monkey were presented with human toys, the male monkey chose boy toys, as the female monkey chose girl toys. This study supports the nature side of gender strongly, as these monkey weren’t taught to nurtured to choose those toys and still did. This Nature vs Nurture debate has been unresolved for over centuries, as both sides have an equal opinion and study proving their point. Behavior are affected by both nature and nurture, and humans acts differently to others due to the combination of both. It is very difficult to justify which side are has a stronger evidence and point, and neither can be 100% for sure. Recently in science, we are studying about astronomy, and us humans have made great scientific discoveries of space. But many of us might wonder, ‘why do we we explore space?’ By learning the whole reason of why us humans explore space, would lead to a better understanding of our galaxy and the universe surrounding us. The reason why we explore space is pretty simple. It is because us humans are ambitious and curious about the unknown space, we push ourselves to boundaries, and breaking them, creating new technology that would let us continue exploring further. As NASA agrees, “Humans are driven to explore the unknown, discover new worlds, push the boundaries of our scientific and technical limits, and then push further.” It is human nature to be curious and explore something we don’t know, and because of these curiosity and ambitiousness, it has affected our planet by advancing the technology and have provided us many benefits. And of course, these explorations have brought in new knowledge and ideas of space. When NASA has started exploring the space, they were challenged to create an advance systems and technology to be able to explore beyond the low-Earth orbit, and extend their discoveries to translunar space, near-earth asteroids and mars. Low-earth orbit is an orbit that extends from earth’s surface at sea level to an altitude of 400 and 1000 miles. It is a satellite system that is used for telecommunication, and communicating datas. To overcome this challenge, they have created a International Space Station which serves as a space laboratory for human health, material research and more. It was first created as a test bed, for testing out NASA’s new technology. International Space Station are now helping the astronauts to stay healthy and fit for exploring the unknown. Today, the some exploration has extended over to the translunar space. Translunar space is the expanse surrounding the Earth-moon system, areas extending far beyond the moon orbit. Exploring in translunar space would mean exploring outside the protection of Earth’s magnetic field, which would bring in new experiences and knowledge. Magnetic fields are the areas where an object exhibits magnetic influence. Magnetic object could be attracted or pushed away by these fields. Earth also has a magnetic field, as earth is filled with molten iron, which would push away radiations and particles such as solar wind, reducing the damage for us. Extending space exploration to translunar space could be dangerous, but it also bring benefits for us earth. As NASA states, “Operating in translunar space, NASA can research galactic cosmic radiation–potentially the most threatening element to humans exploring deep space–and develop mitigation strategies that may also lead to medical advancements on Earth.” Us humans would be able to gather new informations about the galactic cosmic radiation and reduce the damage for us humans, and possibly creating more advanced medicals. Exploring the further unknown would bring so much benefits as well as discovering what surrounds us. The exploration not only extends to translunar space, but also to asteroids and mars. Asteroids are believed that they were formed early in our solar system’s history, possibly about 4.5 billion years ago. By studying these near-earth asteroids, it would help us discovered the materials from the solar nebula. As NASA comments that these discoveries would lead to possible answers for compelling questions such as ‘how did the solar system form and where did the Earth’s water and other organic materials such as carbon come from?’. By investigating the asteroids would not only help us understand the history of space, but also be able to predict the future impacts on earth and reduce them. Mars, are also popularly investigated by explorers and scientists. Many scientist have discovered that Mars has a similar history to Earth’s, and many are investigating if life exists beyond earth and on Mars. One of the biggest reason why humankind are so passionate about exploring the unknown space, is due to our curiousness and our ambitions, and the new discoveries and informations about the space could be used to improve earth through technology, medical, and even connections between different countries. As NASA agrees, “Through addressing the challenges related to human space exploration we expand technology, create new industries, and help to foster a peaceful connection with other nations.” Exploring space can be very dangerous, and number of explorers has died from accidents in space. Yet it affects the world environmentally and socially, affecting the world positively and improving for better. Environmentally, it would improve our planet, as more advanced technology and advance medicals are created for exploring the space, making the world more innovated and improving the environment we are surrounded by. Socially, the unknown of space would bring many scientists and explorers around the world together, sharing knowledge and ideas between them, creating a connection or a bond with different countries. Why do we explore? Not only we are curious about it, but it also bring many benefits and advantages for us. Dunbar, Brian. “Why We Explore.” NASA. Ed. Jennifer Wiles. NASA, 30 Sept. 2013. Web. 05 June 2016. Recently in Drama, we have been studying comedy and how they work. Comedy has started far far back in time, and has a very interesting history behind it. Heres the timeline of Comedy and clowns. 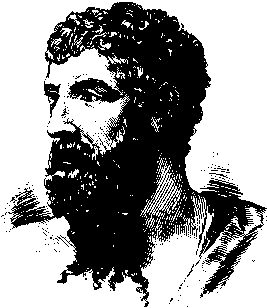 It is believed that comedy all started in Ancient Greek (5th centuries), commonly known with the Aristophanes as he was well known as the master of old comedy. Many of the comedies had a very weak plot line and had a very loose storyline, yet the comedy he wrote were simple, easy to understand jokes such as scatological humour (toilet jokes) and sexual jokes. He also made fun of the politicians, philosophers that existed during at that age, as in few of his plays he mocked the Peloponnesian Wars and the governors who were fighting against. Even after Aristophanes died, Menander has taken upon his place to create new comedy. In the new comedy, stereotypes were born as part of the humour. People used less sexual jokes and political jokes, but based on their comedy off of everyday situations. In the medieval ages, the churches tried to keep comedy and joyous aspects of a comedy to the minimum, which lead to danger of extinction of comedy. Yet comedy survived through medieval folk plays and festivals. Renaissance comedy is one of the well known comedy period. One of the famous scriptwriter known at this age was Shakespeare. Not only he created the famous scripts such as Romeo and Juliet, Macbeth, and more, he have also written different comedy scripts. In this age, comedy was known to be something different than we know it today. Today, we all think comedy is something funny and something we’ll be able to laugh at, but comedy in the Renaissance period was known to be something that had a good ending. One of the famous comedy during this time was the ‘commedia dell’arte’ in Italy, where people acted out wearing a mask. Melodramatic comedy was more focused on exaggeration. Melodramatic comedy started to appear present in the 18th centuries to until today, through movies, television shows, and even in radio formats.Because melodramatic comedy existed in a long time period and still exists in comedy today, it is difficult to exactly justify and define what melodrama is. Usually in Melodrama, the plots and characters are over exaggerated, so they would be able to strongly show their emotions and their stereotypes. The term ‘melodrama’ were used negatively, as it meant unsophisticated or lack of delicacy. In melodrama, there was 6 stock characters that usually existed. A hero: who acts upon justice and moral, yet sometimes doesn’t follow the rules. A heroine: who is innocent and moral, usually a damsel in distress. A villain: who is evil, greedy, selfish and immoral. The villain’s accompany: a goofy dumb sidekick who serves as the comic relief. A faithful servant: a maid is loyal to the hero and helps him save the heroine, but also serves as comic relief yet not as goofy as the villains accompany. A maid servant: Unlike the faithful servant the maid servant is flirty, funny and is very loyal to the heroine. Circus comedy was one of the important style of comedy in the timeline. The most famous one are the clowns. The clown comedy started around in the late Middle Ages. Court jesters and fools were a good example of a clown in the middle age. Arlecchino (Harlequin) is one of the famous clown actor that best represented this style. Harlequin started off as a comic valet, or zanni (types of character in dell’arte), but soon began to form his own style of comedy which was the soon to be known slapsitck. There are 3 major clown types. One of them is the White-face clown. They are the most well known, oldest clown. They are usually associated with the circus, and the White-faces had a high status among other clowns with intelligence. Auguste clown were the ones who had the lowest status among the other clowns, and was the most zaniest and unintelligent clown. The Auguste clowns wear mismatched and over sized clothes, with big noses. They appeared together with the White-face clowns and was usually the one messing things up. Character Clown is the third clown type. The hobo or The Tramp is one of the well known character clowns. Character clowns are clowns that have a specific character such as the police officers, women, babies, anything at all. Cinematic comedy can be considered as the ‘oldest film genre’ as this comedy style mainly appeared in silent films, televisions and movies. Comedy was very suitable for silent films, as it required more of a visual action and audio. Slapstick was also another type of comedy used in cinematic comedy, as it portrayed the hilarity of ridiculous situations of physical mishap and indignity. Charlie Chaplin was the most famous comedy star known in this age and even today. He was a silent actor and pantomimist and was recruited at 1913 as a comedy actor. Kid Auto Races in Venice (1914), is the first silent film that he appeared in as ‘The Tramp’ character we all know. As you can see, comedy has a very interesting history, and we are able to see how humour changes over time. Carroll, Heather. “Elements of Melodrama: From Early Theater to the Modern Soap Opera.” Study.com. Study.com, n.d. Web. 23 May 2016. Dirks, Tim. “Comedy Films.” Filmsite. American Movie Classics Company, n.d. Web. 23 May 2016. “History of Clowning.” Clown Doctors. The Humour Foundation, n.d. Web. 23 May 2016. Johnson, Flint. “Ancient Greek Comedy: Definition & Plays.” Study.com. Study.com, n.d. Web. 23 May 2016. Mason, Craig. “A Melodramatic Look at Melodramatic Comedies.” Theatrefolk. Theatrefolk, Winter 2014. Web. 23 May 2016. “Shakespearean Comedy.” The World of the Renaissance. The World of the Renaissance, 15 Mar. 2012. Web. 23 May 2016.